Noting the roots of David Bowie's last album in jazz, Nate Chinen of the New York Times described Bowie as "an elusive rock star whose music has been as famously changeable as his image." The characterization is not novel: one of Bowie's most famous songs was titled "Changes," and he has been called the chameleon of pop, as for much of his career he not only adopted a new musical style, but assumed a new fictional identity for each album. But what Bowie himself may not have realized is that he owed his distinctive protean behavior to a great painter. David Bowie in 1974, during recording for the Dutch TV program TopPop. Early in his career, Pablo Picasso shocked many in the art world by making sudden, radical changes of style. In 1912, when Picasso was 31, the painter Wassily Kandinsky wrote that "driven wildly onward, Picasso throws himself from one external means to another...much to the horror of his incredibly numerous followers," and in the same year the critic Roger Fry cautioned that it "is dangerous and difficult to speak of Picasso, for he is changing with kaleidoscopic rapidity." Three decades later, Picasso's rival Marcel Duchamp judged that this was "Picasso's main contribution to art. To have been able to start from a new source, and to keep this freshness with regard to whatever new expressions mark the different epochs of his career." In 1965, the critic John Berger observed that "In the life work of no other artist is each group of works so independent of those which have just gone before, or so irrelevant to those which are to follow." 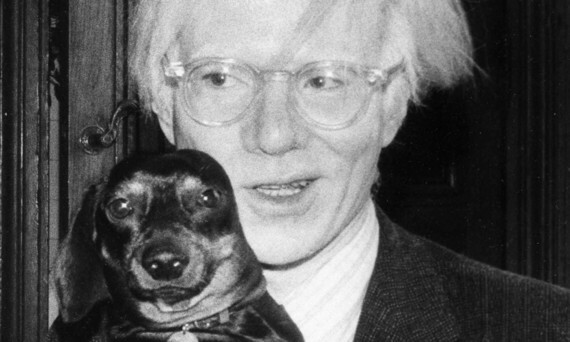 Andy Warhol (undated photo). Image courtesy Huffington Post. Picasso's practice of stylistic versatility was adopted by a series of conceptual artists, beginning with Duchamp himself and his friends Francis Picabia and Man Ray, and such later followers as Richard Hamilton, Robert Rauschenberg, David Hockney, Gerhard Richter, and Sigmar Polke. In a 1963 interview, Andy Warhol declared his belief in the practice, asking rhetorically, "How can you say one style is better than another? You ought to be able to be an Abstract Expressionist next week, or a Pop artist, or a realist, without feeling you've given up something...An artist ought to be able to change his style without feeling bad." Bob Dylan onstage during the 1980 Gospel Tour. In 1960, a young rebel in another art was learning the same lesson. In Chronicles: Volume One, Bob Dylan recalled his early days in New York, and wanting to emulate Picasso: "Picasso had fractured the art world and cracked it wide open. He was revolutionary. I wanted to be like that." In 1967, the folk singer Pete Seeger speculated that "Maybe Dylan will be like Picasso, surprising us every few years with a new period." 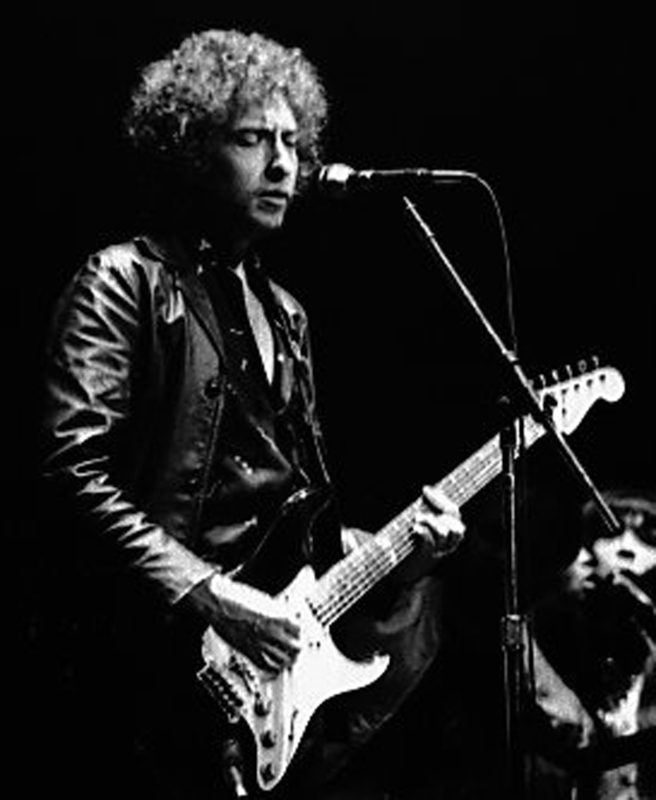 The prediction was accurate: by 1973, Joyce Carol Oates marveled that "Dylan went through so many transformations, emotionally and musically and even physically, that he must be a fictional character." Pablo Picasso (undated photo). Image courtesy Huffington Post. David Bowie freely acknowledged the proximate sources of his inspiration: two of the tracks on his 1971 album Hunky Dory were "Andy Warhol" and "Song for Bob Dylan." 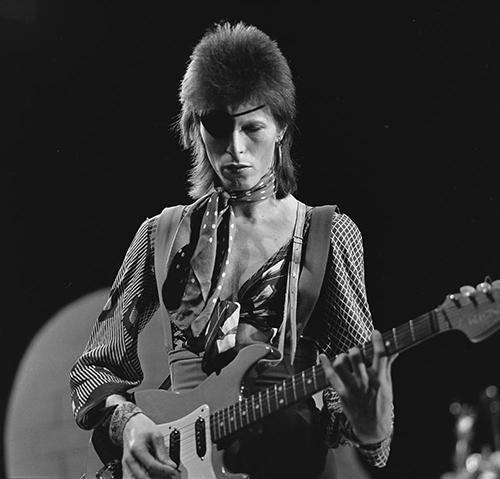 What he may not have realized, however, is that the practice of stylistic versatility that led him to create such personas as Ziggy Stardust and Aladdin Sane, and recently led him to explore connections between jazz and rock, dates back not just to Warhol and Dylan, but much farther, to the early years of the last century. 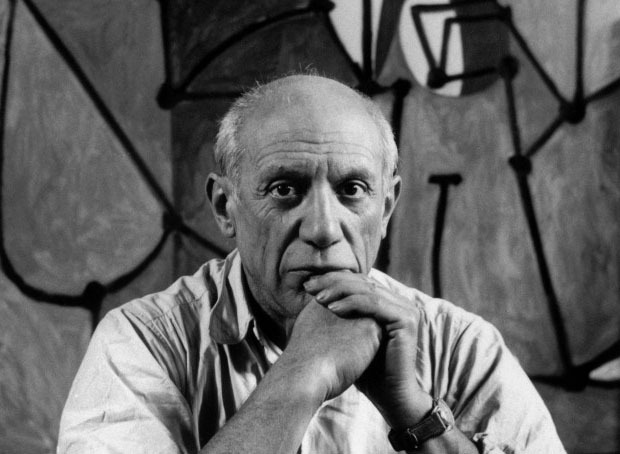 As the critic David Sylvester reflected in 1996, "Picasso is a kind of artist who couldn't have existed before this century, since his art is a celebration of this century's introduction of a totally promiscuous eclecticism into the practice of art."